Canadian country recording artist and CCMA Spotlight Contest winner Cory Gallant and The Red Dirt Posse will be making their debut appearance at Loco Billy’s in support of his upcoming album. Megs McLean and her band will be Cory’s special guest. 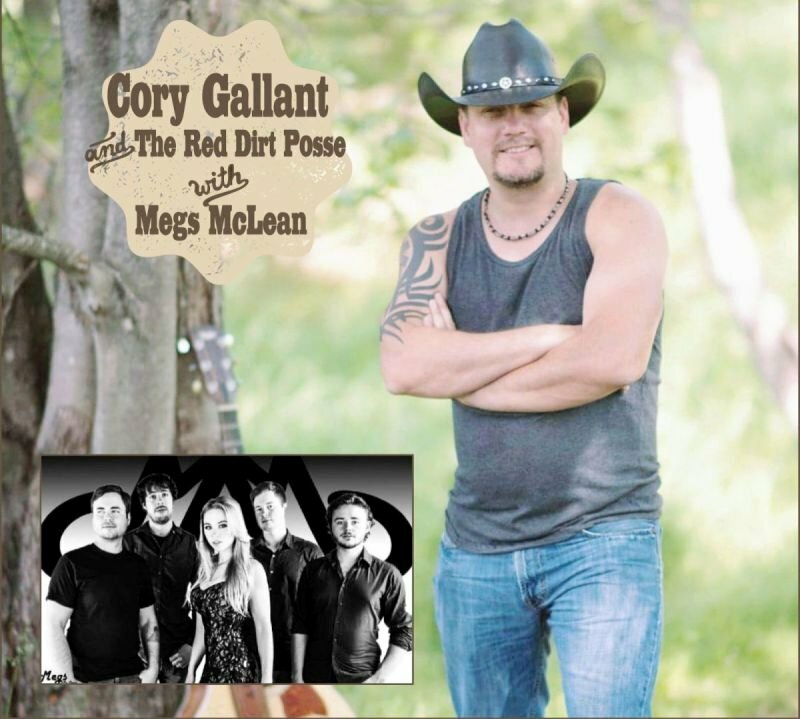 Canadian country recording artist and CCMA Spotlight Contest winner Cory Gallant and The Red Dirt Posse will be making their debut appearance at Loco Billys in support of his upcoming album. Megs McLean and her band will be Cory's special guest. Canadian country recording artist Cory Gallant and The Red Dirt Posse will be making their debut appearance at Loco Billy’s in support of his upcoming album. Megs McLean and her band will be Cory’s special guest. Cory was recently invited on stage to perform with legendary Canadian recording artist George Canyon. His album of all original material will be available in May and will include a single written by Nashville artist Chris Janson and Emmy Award winning songwriter Trey Bruce, as well as a duet with Georgette Jones (daughter of George Jones and Tammy Wynette). Megs McLean is a full-time professional singer/songwriter and performer who has opened for Clint Black, Sara Evans, David Lee Murphy, Lorrie Morgan, Pam Tillis, played for Taylor Swift and Kenny Chesney audiences and headlined numerous festivals and events. She has performed Live on Fox 28 News, has been featured on MTV Live, Pure Country, VH1 Classic and radio stations throughout the nation. Her First single “It’s My Truck” gained Meg's recognition as one of the top 10 “Next Women of Country” on Spotify as well as “Country Pick of the Week”. For more information about Megs McLean, visit megsmclean.com. Megs McLean’s video for "Don't Speak"